A new concept of design, using 35 years of boat building technology. Since Burgashell has been under new management, we have been working to improve the quality of our boats. When you have a boat that's damaged or in need of refurbishment, it's tempting to send it straight back to the company you nought it from. However, our Repair Shop promises to offer the best prices, and also the absolute highest quality. Burgashell bought by Tony Burrows who had worked at Burgashell for several years, is up and running again making and repairing sculls, his aim is to make good quality British boats at competitive prices. When James Cracknell was putting together his Sports Relief England to Africa mission, he needed a boat that he trusted to row from Portsmouth to Calais. 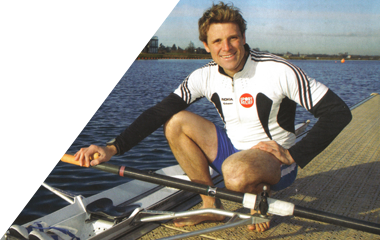 As the UK's leader in Coastal Rowing, he came to talk to us about what craft would give him the best chance.